In excellent condition apart from two areas where paint is missing - one on the roof and the other on the right wing. The windows are clean and bright, the chrome perfect and suspension excellent so and it would make a good addition to any collection. 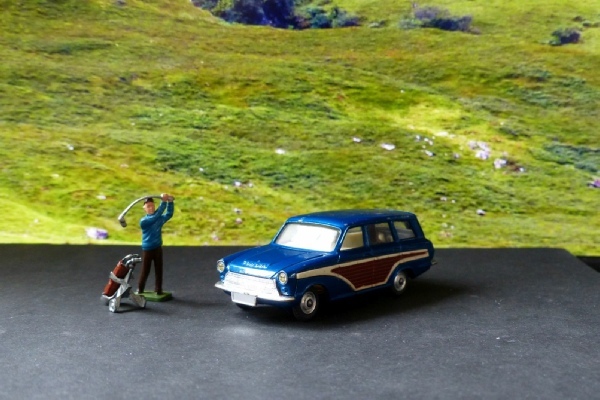 This is also the model supplied in my 440 set with a golfer and golf trolley - hence the guests in one photo!